What's the most interesting conversation you've had in a New York taxi? What’s the Most Interesting Conversation You’ve Had With a New York Taxi Cab Driver? 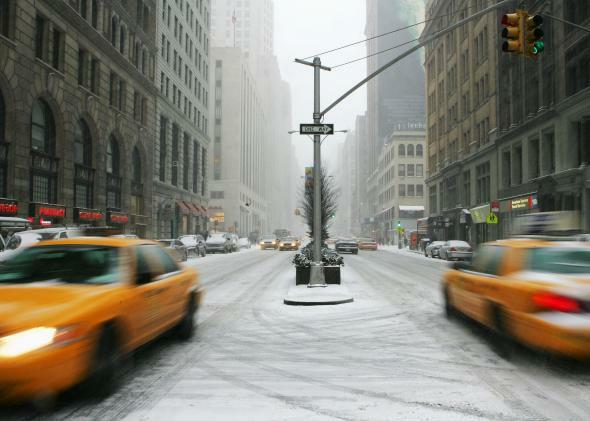 Taxis drive on Park Avenue during a snow storm in New York City in 2005. Last winter, I had a tightly scheduled day and had to get from Park Avenue and 49th Street, where I was giving a speech at the Waldorf Astoria, down to lower Manhattan for an important meeting. Unfortunately, the move happened to be around 4 p.m., when taxi drivers change shifts, and there happened to be a blizzard going on outside. Needless to say, there was not an available cab anywhere to be found. I could have been in Siberia for all the luck I was having in getting a ride. Suffice to say, you could have knocked me over with a feather. After picking my jaw up off the floor, I stared at the driver in amazement … who turned out to be an entrepreneur moonlighting as a cabbie, and who had watched my TED talk on venture capital pitches and had then seen me at an event. The passenger turned out to be a business reporter from Fox News, and after we all finished laughing and exchanging cards, the driver dropped the reporter off at Grand Central, I volunteered to pick up her fare in appreciation, and we headed down to my meeting while the driver pitched me his company! Only in New York, kids, does being an angel investor get you a cab in a blizzard. Only in New York. What are some mind-blowing facts about Wall Street? What are some of the most surreal places in NYC? What are some interesting personal stories about New York City?